I love lighting! It’s one of my favourite parts of designing. 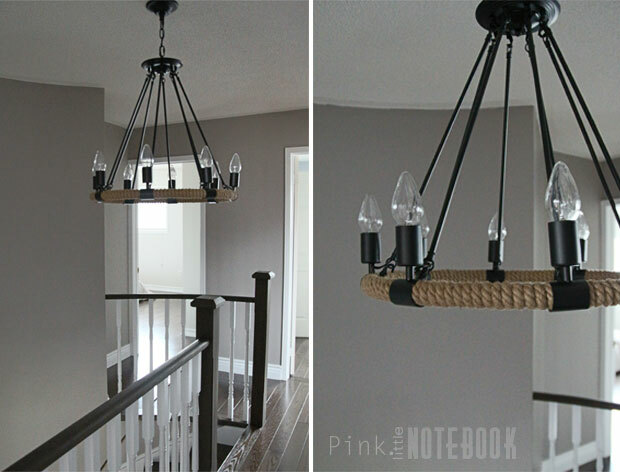 Just by swapping out an old light fixture for a new one—an instant facelift appears. It’s one of those small things that can make the biggest difference in setting your home’s atmosphere. 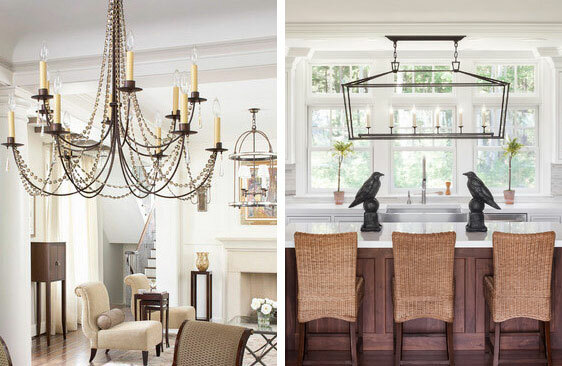 Today there’s endless options when it comes to light fixtures and the best part it’s not to hard to find them on a modest budget. 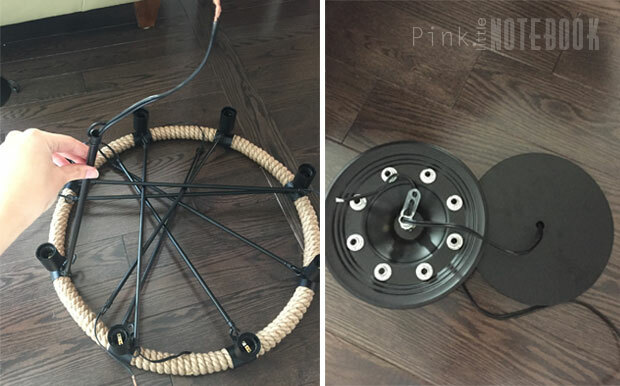 I was recently contacted by Parrot Uncle, an online retailer for lighting. At first glance, I was totally impressed with their selection. As I continued to navigate through their website, I noticed the affordable price tags, the free worldwide shipping + returns and so naturally my curiosity was piqued. I wanted to see what Parrot Uncle was all about. Most importantly, I wanted to see if there light fixtures really do mimic their image and described quality. 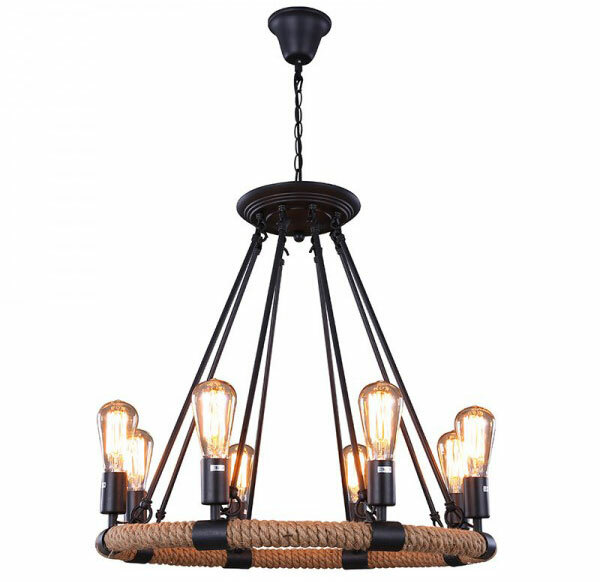 Since I am in need of new lighting for our hallway space, I decided to team up with Parrot Uncle and picked out this gorgeous industrial-vintage looking chandelier to test out. We’ve been working on refacing our staircase for the longest time now (I promise to post an update after the holidays), however, one of the main issues we have with the space is lighting. The small flush ceiling fixture we had definitely was not working for us nor was it providing enough light in our hallway during the evening. 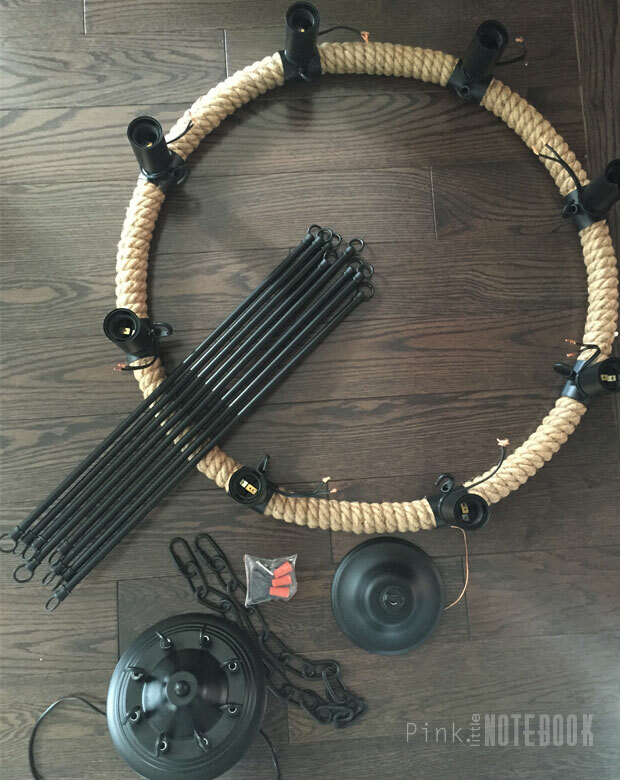 When I received my new chandelier, I was pleasantly surprised. Quality wise, it looked and felt great! 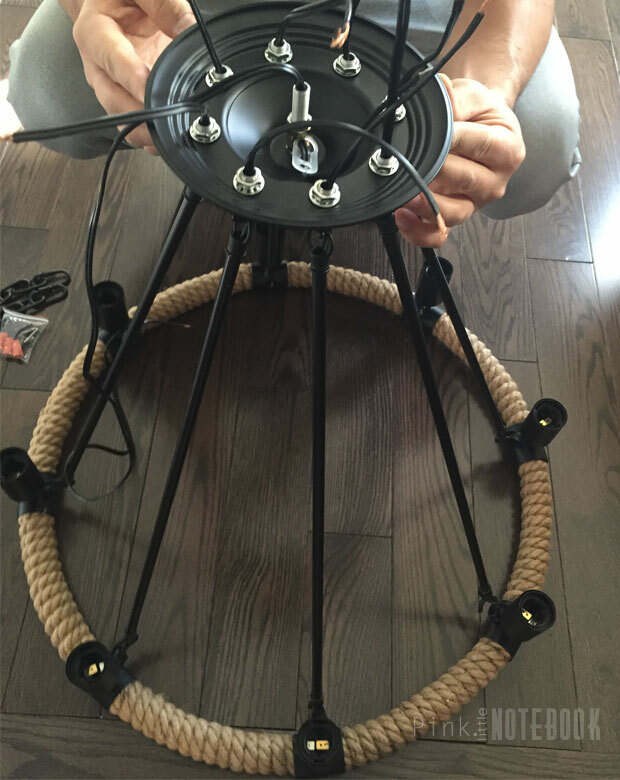 The hemp rope was perfectly wrapped, not a single scratch on the black iron and the light fixture felt sturdy. The only thing that I was apprehensive about was that fact that it came in pieces and the wiring needed to be fish through. The retail price is $122, which is kind of unreal given the size of this fixture. I guess, you can think of it as IKEA—you pay less but some assembling required. It took some finessing to fish it all through the rods and the base but eventually we managed to set it up and pieced it together. Although Edison light bulbs work best for this style of light fixture, I personally am not a fan of the warm light (it’s just too yellow for my liking). In fact, I spent months finding the perfect colour temperature for all the lights in my house, which in case you’re wondering, 3,000 K is the magic number (not too yellow, not too blue). Since I can’t get Edison bulbs in this colour temperature, I just used chandelier lights which come in 3,000 K. The light fixture now lights up every nook and cranny in the hallway upstairs and even the floor below, which is amazing! Surprise, surprise. . . our electrical box is off-centred on our ceiling though. We do hope to adjust this over the holidays by either swaying the light fixture to the middle with a chain or repositioning the electrical box. We’ll have to see what’s possible. With this minor adjustment and some artwork lining the hallway, it’s only a matter of time before it’s all complete. For more great vintage inspired lighting, be sure to check out some amazing Christmas deals from Parrot Uncle and enter promo code “10%” for a further discount! Oh my gosh I love love LOVE this Chandelier! Way cute and I love the vintage look! Thanks for sharing! I can’t wait to get my own house and start decorating it! Unfortunately Thats a few years off but I will keep this in mind once that time comes! That’s such an awesome light! I can’t wait to own a house so I can change up lighting! Some of the lights in my rental drive me bonkers!